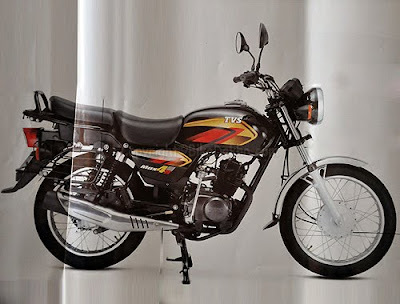 Chennai based two-wheeler maker, TVS Motors has re-launched its new Max Brand, which is known as TVS Max 4R in the Indian auto market. The old horse of Max model was stopped around three years back due to latest emission norms. The company is targeted the rural areas of the country where the like of Hero Honda and Bajaj are contributing. 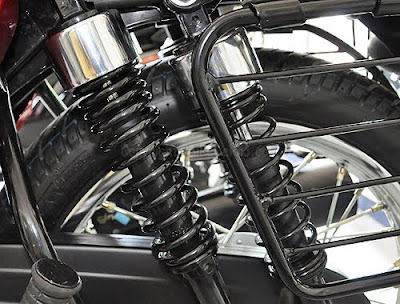 In rural areas, buyers like to have those bikes which has durability and good load carrying capacity along with affordable price. According to them requirement, the company presented one of the best commuter bike, New TVS Max 4R with advanced features and affordable price tag at Rs. 37,590/-.(ex-showroom,Jaipur). It comes loaded features with 110cc engine comprising 4 stroke, air cooled, single cylinder, SOHC machine. The power plant of the bike develops maximum power of 8.4 bhp at 7500 rpm and generates peak torque of 8.3 Nm at 5500 rpm. TVS MAX i also incorporated with 4 speed gearbox and spoke wheels. The new Max also has fitted with advanced dual suspension at rear. In addition, some other standard features also equipped with the new Max 4R like analogue dashboard, wheelbase, fuel tank, footrest, footpegs and Mobile charging option, which is mainly available in scooty's, now bike lovers will see in the new Max 4R. The company has already launched the new Max 4R in Indore with the attractive price tag at Rs. 37,500 (ex-showroom, Indore). The company claimed a mileage of the new Max is around 60 kmpl in city. The company hopes, the new bike will get wonderful response from the Indian buyers.TVS MAX 4R is to be available in three shades including black, red and blue. It might get tough competition with Bajaj Discover, Hero Honda CD-Deluxe, Suzuki Zeus, Bajaj Platina, Honda CB Twister, Yamaha YBR and more.